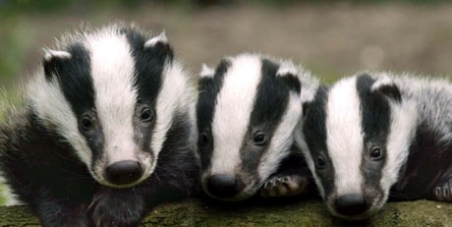 In England, badgers are facing a scary predicament. Thousands of them have been sentenced to death. The UK government believe that reducing their numbers will help stop the spread of a disease called bovine tuberculosis (TB). But they’re wrong. Celebrities as far reaching as Queen guitarist Brian May, David Attenborough, Ricky Gervais, and Chris Packham have expressed their disgust at what seems to be the government’s way of appeasing farmers. It seems like I have been commenting on this cull everywhere for ever, starting with my homeland in Wales. I am now out of expletives for this morally redundant Government and have come to realise in my old age that, no matter what the people think or say, the people that we were hoodwinked into electing, will do whatever they want to do, no matter what. Unfortunately, I have very little hope for the future of wildlife, and my grandchildren are going to miss out on the great outdoors. They will only have books and films to look back at the wonderful life that I had when I was there age. For what it is worth, please reblog. If there is just one tiny thing we can do to stop the slaughter of these innocent animals.